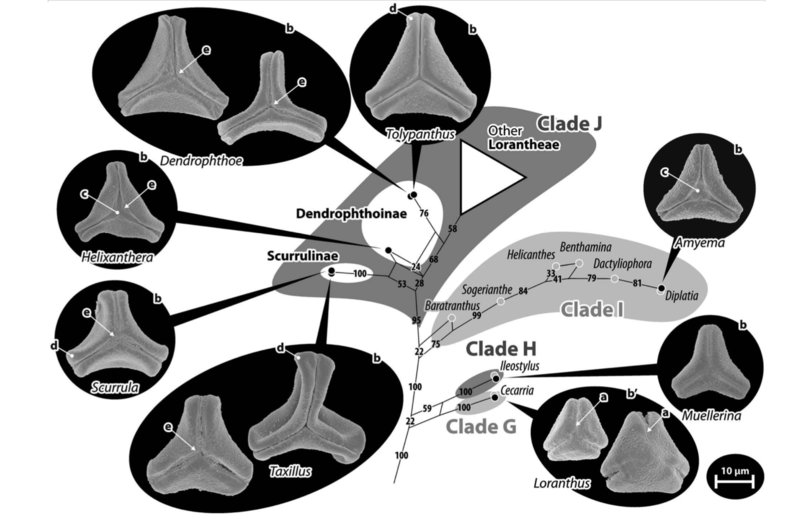 Dating the subsidence history of the North Atlantic Land Bridge (NALB) is crucial for understanding intercontinental disjunctions of northern temperate trees. 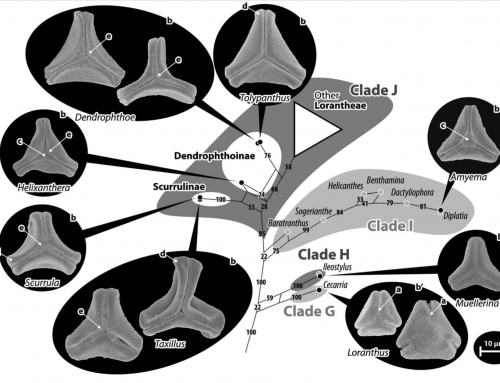 Traditionally, the NALB has been assumed to have functioned as a corridor for plant migration only during the early Cenozoic, but recent findings of plant fossils and inferences from molecular studies are challenging this view. 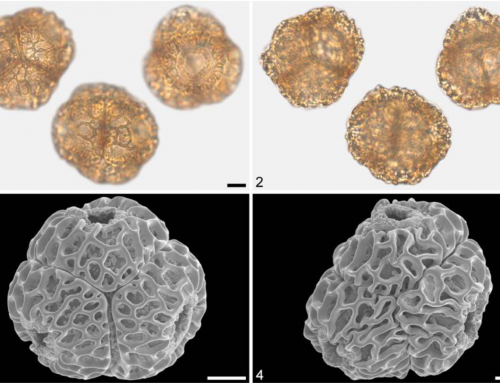 Here, we report dispersed pollen of Quercus from Late Miocene sediments in Iceland that shows affinities with extant northern hemispheric white oaks and North American red oaks. 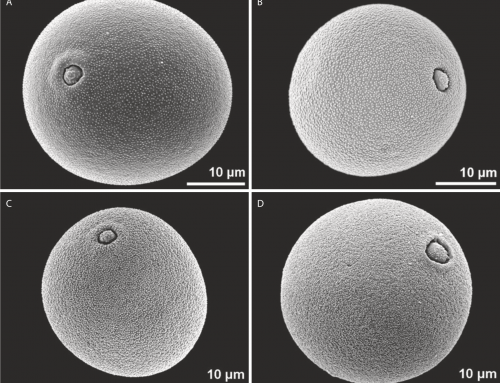 Older (15 to 10 Ma) sediments do not contain pollen of Quercus suggesting it arrived after that time. 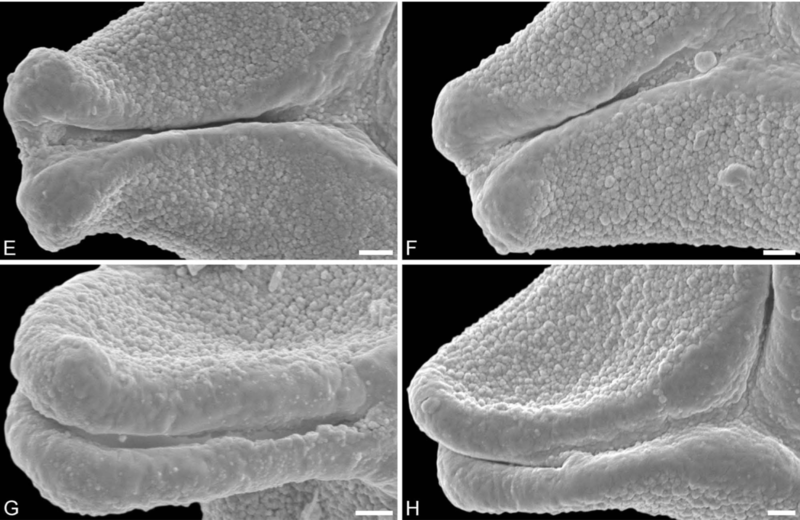 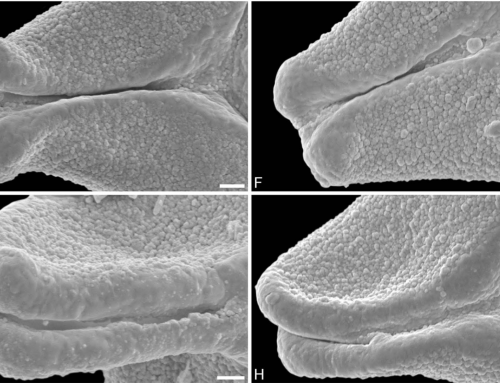 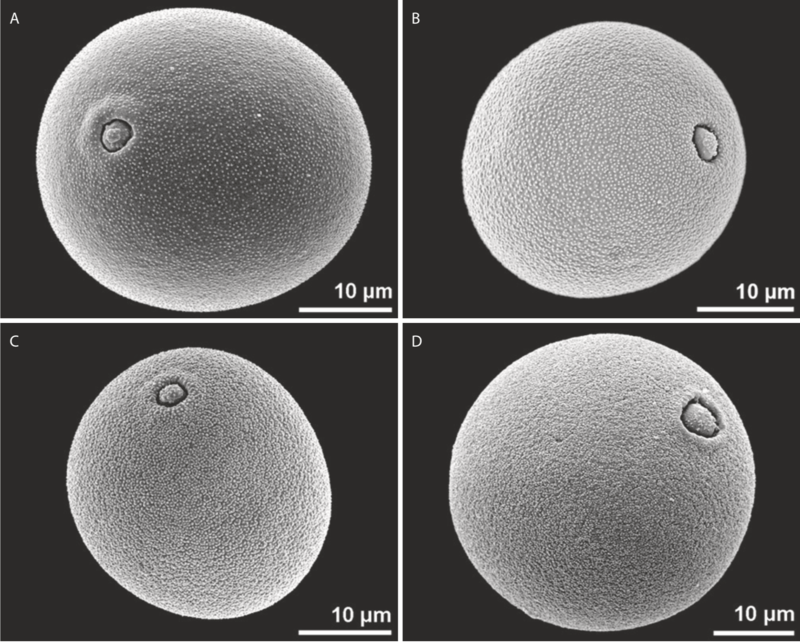 Pollen from the 9–8 Ma Hrútagil locality is indistinguishable from morphotypes common among white and red oaks. 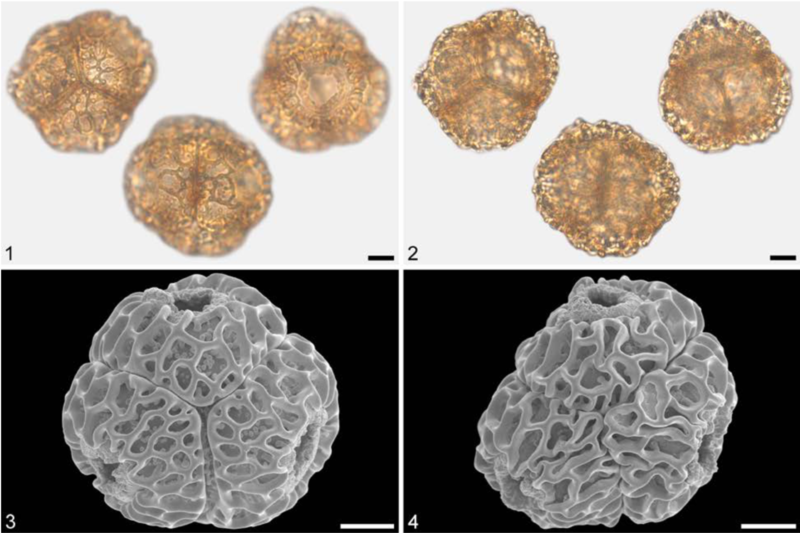 In contrast, pollen from the 5.5 Ma Selárgil locality has a tectum that is at present confined to North American white and red oaks, indicating a second episode of migration to Iceland. 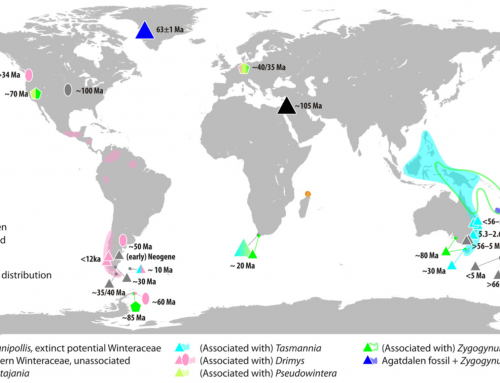 These findings suggest that transatlantic migration of temperate plant taxa may not have been limited by vast areas of sea or by cold climates during the Miocene. 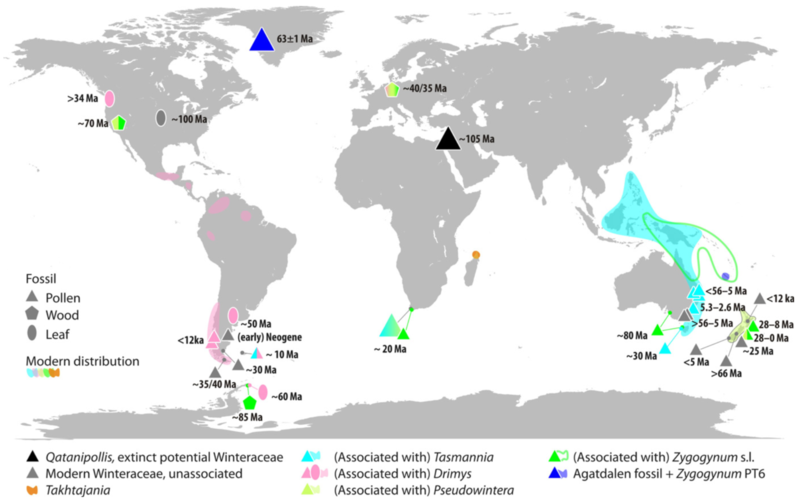 Furthermore, our results offer a plausible explanation for the remarkably low degree of genetic differentiation between modern disjunct European and North American oaks.